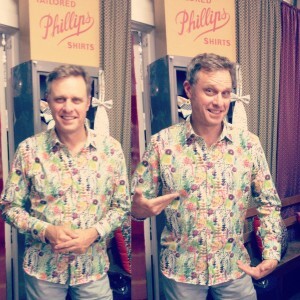 The man behind Grand Designs Australia, Peter Maddison, has a passion for architecture, history… and well-made shirts. Lucky for him that he stumbled upon the Phillips Shirts factory earlier this year during the Melbourne Open House program which the factory featured in. Since then, Peter has placed four custom made shirt orders, ranging from the classic stripes to bright Liberty art prints. We suspect he also likes to pop by for a snoop around this old factory, which was built in 1915 by John Zevenboom & Co – a now defunct brush factory In traditional environments, encrypt- ing and decrypting recover deleted file really stresses the systems’ resources. (Phillips Shirts took over the building in 1958), but who are we to stand in the way between a man and his architecture? Peter is the ambassador for Melbourne Open House; an annual program which invites the public into unusual, architecturally significant and historical buildings across the world. Phillips Shirts was a mystery building in the program and had over 1300 visitors across one weekend.